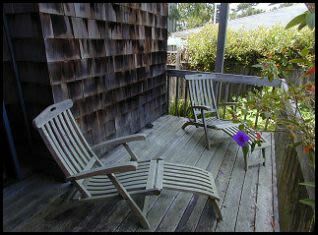 Moonstone Beach, Shamel Park & the Fiscalini Ranch Preserve are all within easy walking distance. The house itself offers a large & comfortable living/dining area with pitched ceilings, lots of windows & a gas free standing fireplace. 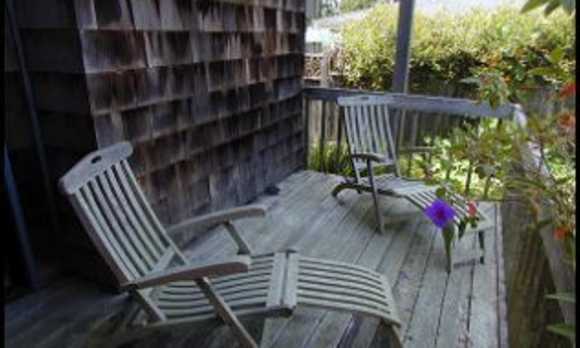 There are 2 spacious bedrooms with queen size beds & 2 full baths. In addition, there is a sitting room/loft area located off the master bedroom that has its own deck with views to the pretty backyard area. Fully equipped kitchen with microwave & dishwasher has everything you need for those times you prefer dining in. Outfitted with TV/DVD and Satellite TV, CD Stereo player as well as wireless broadband internet. This home also features a private garden, three decks, garage, Weber charcoal BBQ & a washer/dryer.